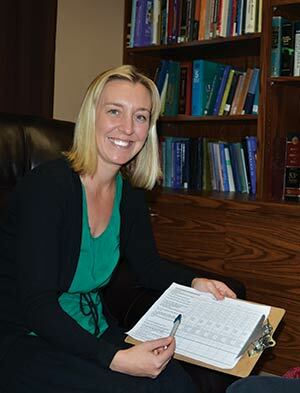 Provider Profile: Ruth Gentry Ph.D.
Dr. Gentry is a clinical psychologist with expertise in non medication treatment of sleep disorders and health related concerns such as chronic pain, depression and anxiety. She is licensed psychologist in both California and Nevada. She is adjunct professor for Psychiatry and Behavioral Sciences at the University of Nevada-Reno School of Medicine. Please see credentials below. Dissertation: "Facilitating Conversation in Older Adults with Alzheimer’s Disease: An Idiographic Approach to Training Family Caregivers"
Masters Thesis: "Facilitating Conversation in Older Adults with Alzheimer’s Disease"
Undergrad Honors Thesis: "Somatic Complaints in Older Adults: Symptoms of Depression or Signs of Aging?" 2012-2013: Developed an insomnia treatment program in the mental health clinic at the VA Sierra Nevada. 2010: Developed a womens weight management MOVE program in the womens health clinic at West LA VA.
2010: Assisted in development and implementation of a multidiscplinary/integrated pain rehabilitation program at West LA VA.
2013-Present Clinical Director of Integrated Sleep & Wellness, PLLC.